This year we will mostly be growing – silage bags! Of course the whole reason for moving to The Secret Acre is to grow our own and be more self-sufficient(ish). So it is frustrating this year, while the house is getting its eco-makeover and we are not yet living on site to properly tend a veg patch, that our planting plans have had to be made for 2016, which still seems a lifetime off. Probably not an entirely bad thing though as the greenhouse still needs repairing and we have still only resurrected one of the three original veg beds as the building work takes up most of our time currently. 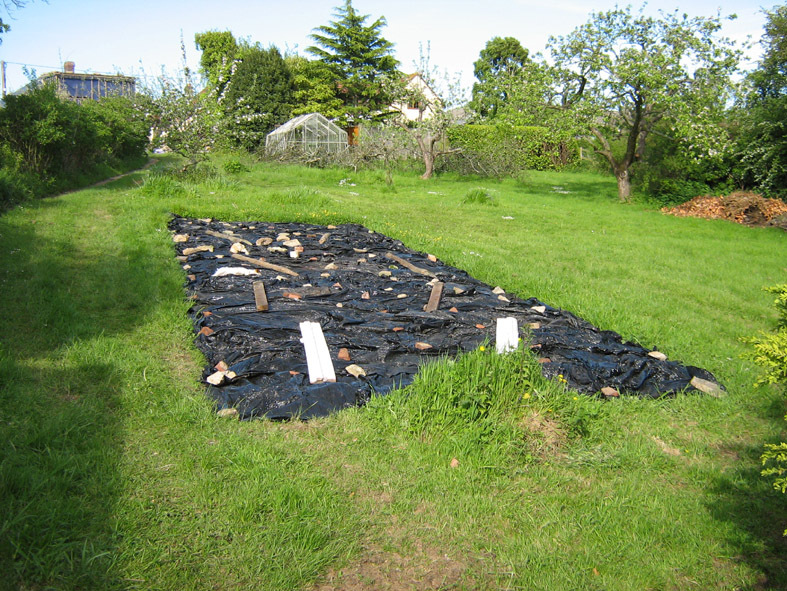 So with planting put off until next year, the first veg bed already restored is for now sporting recycled black silage bags instead taking the opportunity for maximum weed suppression. Wanting to avoid paying for expensive weed suppressing membrane, I got a load of old silage wrappers from nearby Copsegrove Farm, where our friends Kate and Martin have a beef herd and thriving school farm visit business. So at least we’ve started as we mean to go on. 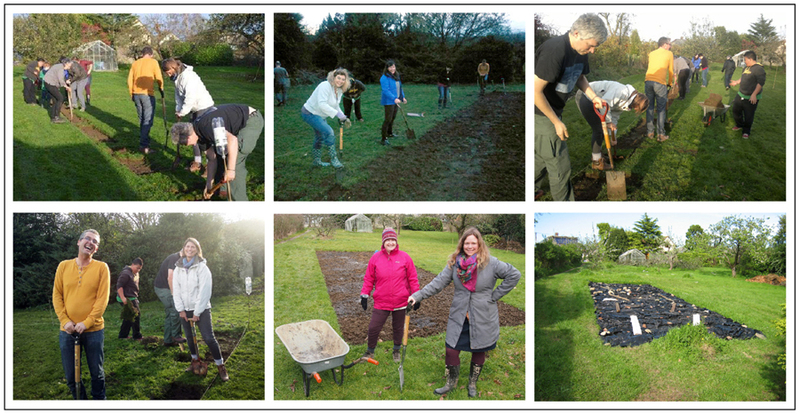 This entry was posted in Garden and tagged Copsegrove Farm, grow your own, Paul Rainger, self-sufficiency, silage bags, The Secret Acre, veg beds by paulrainger. Bookmark the permalink. Got a house progress report coming here next week Molly!